An agonisingly droll suspense story. 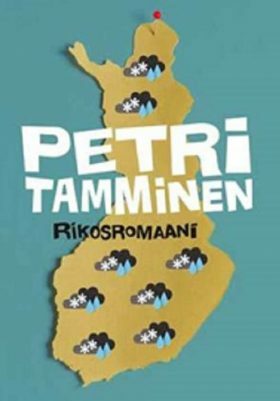 Hermann Ångström – the Malmi masher, the Hämeenlinna humiliator – has struck again. A bride left at the altar, a counsellor of state on sick leave because of depression, people anguished by the overly frank results of a physical or a medical report. Humiliated, dejected souls, suffering and shame. Hermann Ångström, wreaker of intangible malice, glides through the darkness of night, subjecting his victims to a series of social shames and amorphous grief. The targets of his attacks are impossible to predict, as are his methods, and only rarely does he seek financial gain. Who is Ångström, and what is he avenging? The case is assigned to Commissioner Vehmas, who has seen it all. He believes that the future is an affliction and an illness and that police work is folk poetry. Toughened by crime though he is, even Vehmas doesn’t get the upper hand over the indomitable Ångström until serendipity steps in.